The movie begins with the life of a real estate agent. He is unsettled in his life and is looking for a reason to care. When he least expects it, his son shows up on his doorstep. This is a son that he has not seen in years. He also brings a surprise with him. The man has a granddaughter. He soon discovers that he has something to live for, and that he wants to improve his life because his son leaves his granddaughter with him. Instead of taking care of himself, he now has another person to think about. With all of the romance that develops between the real estate buff and a special lady as well as the family ties that seem to bind, this is a movie that tugs a heart strings. 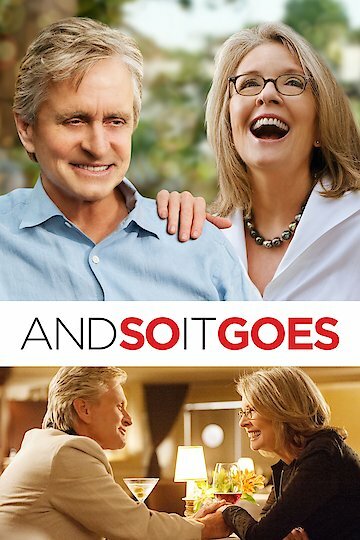 And So It Goes is currently available to watch and stream, buy on demand at Amazon, Vudu, Google Play, FandangoNow, iTunes, YouTube VOD online.